Avenatti launched his PAC, the Fight PAC, last summer as he was contemplating a presidential run to help Democratic candidates with "the size and presence to really fight back and advocate for a position of strength as opposed to weakness." From the committee's launch in late August 2018 to Dec. 31, 2018, Avenatti's PAC hauled in $113,000 in total contributions. During this time, the Fight PAC reported $101,000 worth of operating expenditures—much of which were reimbursements for Avenatti's jet-setting ways and stays at lavish hotels. Avenatti reimbursed himself $31,776.78 last October for the likes of food, beverage, lodging, and transportation through three separate transfers, filings show. The amount Avenatti spent so far this year is not yet known, as FEC filings for the first quarter are not due until April 20. In addition to the tens of thousands Avenatti spent on reimbursing himself for travel, the PAC also reports thousands more toward luxury hotels in Washington, D.C., New York City, Cambridge, Md., and Puerto Rico, among other destinations. The PAC spent thousands at Jefferson Hotel in D.C., Park Hyatt in New York, Hyatt Regency Cambridge in Maryland, and the Condado Plaza Hilton in Puerto Rico, all five-star hotels. Additional funds were put toward airfare while tens of thousands more were spent on fundraising, advertising, and consulting work. No money was given to any Democratic candidates as of the end of 2018 despite its intended goal of helping candidates, the filings show. 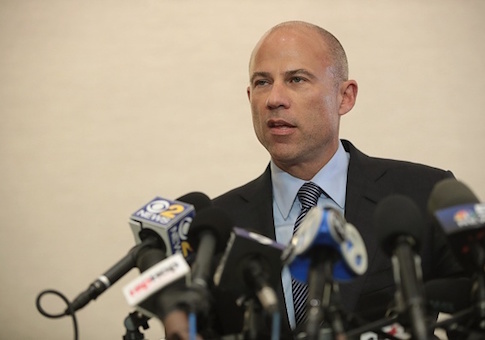 Avenatti was charged on Monday with attempting to extort millions of dollars from Nike by releasing "damaging" information against the company if they did not pay him. The Democratic lawyer was also arrested in the state of California for bank and wire fraud after allegedly embezzling money from one of his clients and falsifying tax returns.